Posted on 3rd November 2018 at 1:45 pm. It’s an often-quoted fact that many students don’t know how to boil an egg before they go to University! 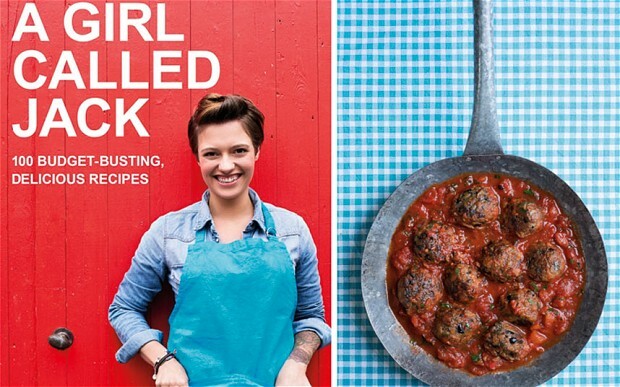 Why not prove the doubters wrong and take some cookery inspiration from bestselling author Jack Monroe’s ‘A Girl Called Jack’, and owner of Cooking on a Bootstrap website. Forget the unhealthy, and let’s face it- expensive, ready meals and takeaways. In this article we’ll be taking a look at some of Jack’s top recipes on a budget, so read on and prepare for that rumble in your stomach! … Remember, if you are studying in Plymouth, and living in a Student Rooms 4U home, all of our kitchens are modern and fully equipped so no excuses! It’s way cheaper, particularly if you live in a student house share and do shops together. It’s better for you because you know exactly what’s going into your food – ready meals may look like a good option, but they pile in the salt to make them taste better, which isn’t good for your health. It’s a great way to stay in shape – cooking things from scratch takes time and effort, which burns way more calories than sitting in from of the TV with a pizza box. It’s a fun activity to do as a household. If you share student accommodation with other keen cooks, pick one night a week when each of you does the cooking. It spreads the load and increases the fun. It’s something that, basically, you really have to learn. Part of being an adult is taking care of yourself in all aspects of your life, and cooking for yourself is a biggie. Ok, I know what you’re thinking – peaches in curry doesn’t sound like a wise choice but, seriously, it works. From 61p per portion this is a great winter warmer which you can serve with rice or naan bread. It’s easy to make, it’s filling, and curry dishes are always a great one to make extra portions of and freeze for a later date. If you don’t like it vegetarian, add your meat of choice to bulk out the mix, though of course this will bump up the price! And if you really don’t like the idea of peaches, leave them out – it will still be an awesome dish. If you’re anything like me and you often buy a bag of salad with the very best intentions of eating it… only to find it looking slightly sorry for itself at the back of the fridge a week later, this is a great recipe to cut down on waste. When I first tried this recipe, I was dubious that it would taste anything like pesto. I was absolutely proven wrong – this pesto tastes fresh and flavoursome and is far superior to the stuff you buy in jars, and at 13p a portion you can’t go wrong. Vegan recipes are all the rage right now, and you can’t beat a warming soup in the winter. From 23p per portion, this soup is easy to make and you can double the mixture and freeze the leftovers for quick meal options in the weeks to come. This works best as a blended soup, but if you don’t have a food processor or blender, try it as a chunky soup with a hunk of crusty bread – delicious! Think that bread is difficult to make? Think again! This recipe is really simple and comes in at just 14p a portion. With 10 minutes of kneading included, it’s a guaranteed work out as well. Get your housemates together for a fun morning of baking – nothing beats the smell of warm, freshly baked bread. You can’t beat a price of 9p each for a decent veggie burger, and these are top class. Easy to make and impressive for gatherings – a great one to show off with if you’re having a society club meeting at your student let. Choose a GF flour and this recipe can be gluten free as well as veggie. A great one to make in advance because the burgers get nice and firm in the fridge. If you’re a bit of a Bake-Off fan, this traybake is one to impress your housemates with. Just six ingredients are needed to make these delicious treats, which come in at 27p per slice. A great one to bear in mind for your next RAG or charity baking event! Many of the ingredients used in Jack Monroe’s recipes are ‘own brand’ products from popular supermarkets. In Plymouth, you can find a number of supermarkets which stock these cheap items for you to utilize in your cooking adventures. Top choices for places to shop cheap include Asda, Sainsbury’s, Tesco and Aldi. All recipes linked to in this article are copyright to Jack Monroe of the Cooking on a Bootstrap website. She has also published a number of cookery books, and you can follow her on Twitter (@BootstrapCook). So which of these awesome recipes will you be trying out first?